In Ben's eyes, if you can make it, you do! Our roastery near Noosa on the Sunshine Coast has been hand made, from the ground up! Boasting a custom made Old Greek Roaster, a customised La Marzocco espresso machine, a Hand made De-stoner, a Hand made and state of the art HUGE coffee blender...the list goes on...and with great excitement, will continue to go on! We have been there for your coffee needs, every step of the way. From the custom built machinery, to choosing the finest beans from around the world, to the coffee you enjoy. The upmost care and passion goes into our award winning blends. We have strived towards creating a path of wonderment amongst us, our family, friends, customers and suppliers. In saying that, we have something big in store. 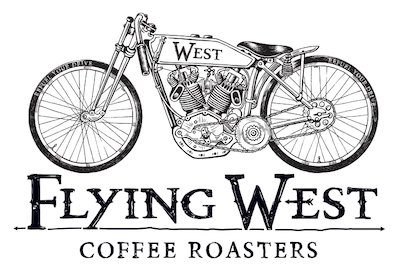 Its exciting, and a BIG leap forward in our journey as Flying West Roasters. Without giving too much away, it involves a warehouse, a luscious green backdrop, loads of parking and of course stunning coffees.